What are the best prices from each manufacturer? 2016 has been a year of leaps forward in graphics card technology from both Nvidia and AMD. At the top of the pile on the AMD side of things is the Radeon RX 480, which, while it doesn't have the raw power of its Nvidia competitors, it does have price on its side. With an MSRP of $239 for a graphics card with 8GB of GDDR5 memory, that's a really good price per performance ratio. There's also a 4GB version if you want to go even cheaper. As we said though, it doesn't stack up with Nvidia's new cards, so the RX 480 is more an upgrade for your graphics card that's a few years old rather than a replacement for your R9 390 or GTX 970. Last year performance like this would've cost you over $300, so it's a good time to find a deal on an RX 480 which could go much closer to $200. The RX 480 represents a good upgrade for most people, especially if you don't have the cash for a graphical powerhouse, as we point out in our review from earlier this year. The specs from the reference card see the RX 480 with a base clock of 1120MHz, a boost clock of 1266MHz, and the memory clocked at an effective 8000MHz. You'll find custom cards from the major manufacturers below which will often have overclocked clock speeds, and their own custom coolers. We've compiled the best prices from each all in one place so you can find the best deals. The highest powered Asus RX 480 card you'll find is the RoG Strix RX 480 O8G Gaming edition. In Gaming Mode you'll find a clock speed of 1310MHz, but there's also an OC Mode where it gets bumped up to 1330MHz. Asus also has a 4GB VRAM card which reaches 1300MHz in standard mode, and 1320MHz in OC Mode. The 4GB cards only have an effective memory clock speed of 7000MHz though. With the Gigabyte Radeon RX 480 G1 Gaming you'll find a slight clock speed boost to 1290MHz on both the 4GB and 8GB versions, with the memory speed at 7000MHz and 8000MHz respectively. Gigabyte also sells a reference version of the card, and Windforce versions, which have reference specs but the company adds its custom cooler which it's pretty proud of. Like with most MSI custom graphics cards, you'll find a standard Gaming Mode, a Silent Mode, and an OC Mode on the MSI RX 480 Gaming and Gaming X 8GB models. The top dog here is the Gaming X, which has 1266 / 1303 / 1316MHz clock speeds in Silent / Gaming / OC Modes, and the memory is boosted to 8100MHz in OC Mode too. Add in the custom cooler, and you've got a handy little graphics card. You'll find a surprisingly fast 1342MHZ boost clock overclock on the Sapphire Nitro + Radeon RX 480 8GB version, making it one of the most powerful cards on this entire list. Two 95mm fans keep things cool, and Sapphire says its 10 percent quieter than its previous cooler, and has an 85 percent longer lifespan. When the card isn't working hard, you won't hear it at all. Plus, the card has some tasty LED lighting, if you're into that sort of thing. 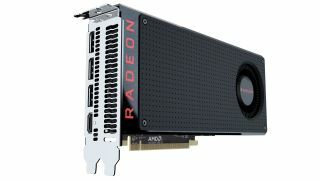 PowerColor has a handful of RX 480 models available for purchase, in both 4GB and 8GB configurations. The most powerful one you'll find is the Red Devil RX 480, which features a 1330MHz clock speed with the boost. Plus, it's got three fans to keep the heat down for that overclock. The rest of your options are more like the reference card, but mostly with custom coolers. A lot of the XFX cards have the company's "Hard Swap" technology, which lets you change or upgrade fans easily thanks to the quick snapping tech. The card with the highest specs is the RX 480 GTR with Hard Swap, which features a nice boost up to 1338MHz clock speed. There are plenty of other custom cards available too, with slight overclocks, some with custom backplates and fans and so on.